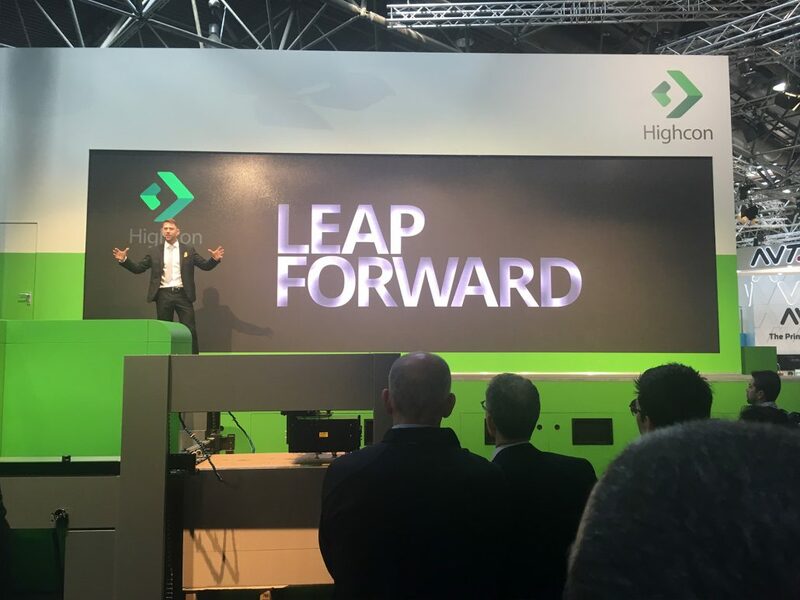 Highcon was a new start-up with an game-changing product for the print industry. They had not yet made a name for themselves. Their goal for this event was to attract people to their booth, gain the trust of their visitors and set up an impactful platform from which their salespeople could meet their sales goals. 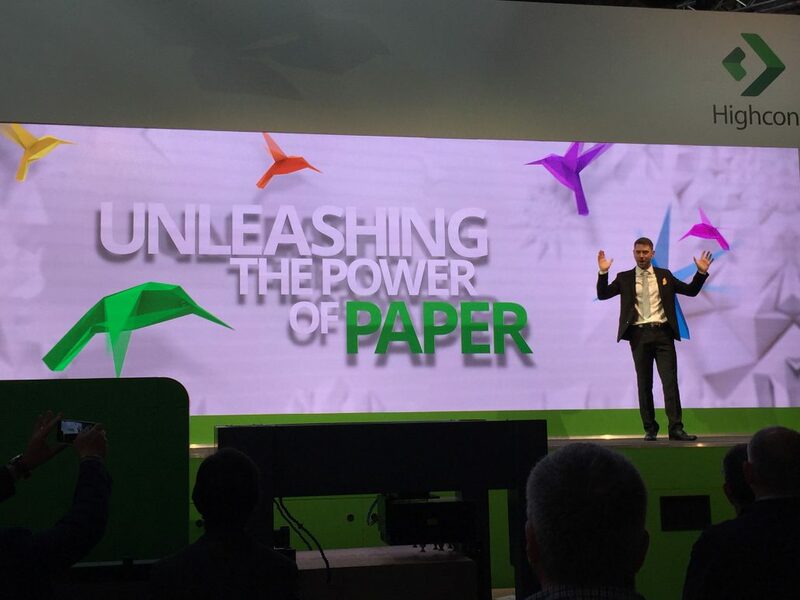 A multi- faceted, interactive live show on the Power of Paper. 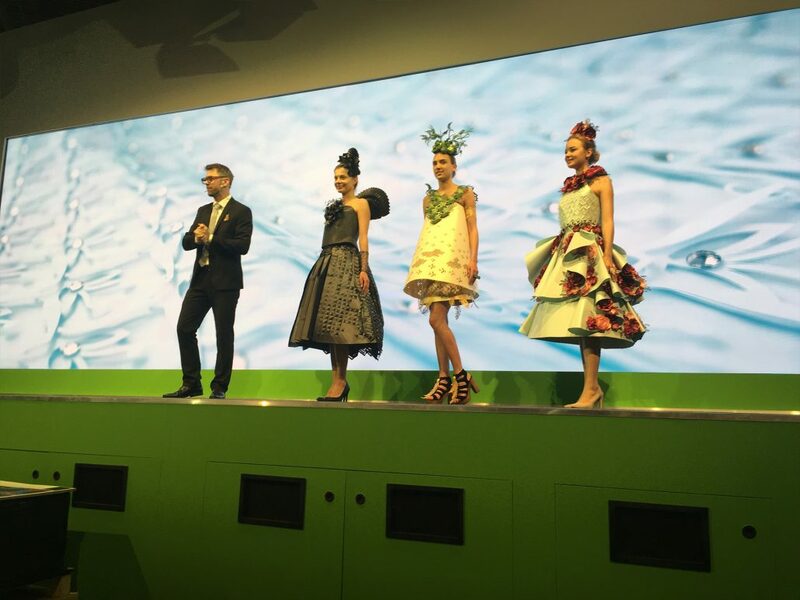 A live actor introduced the brand story while the multimedia content was designed in paper cuts to highlight the product’s capabilities. The show opened with a live fashion show, showcasing paper cut clothing. The Highcon Beam was placed near the stage so guests could see the revolutionary machine for themselves. The well thought out customer testimonials and partner logos effectively sent clear messages: the company was known and trustworthy, they delivered on the promise,The show was performed 10 times a day for the 11 days of the conference, to an audience of over 150 each time, a majority of whom remained for a technical demonstration. The company tripled their desired sales goal. They were hoping to sell 15 presses, at $1 million per press, and they sold 43. Highcon attributed this achievement to the success of this show. Theirs was considered Best in Show by exhibition participants and each performance was full to the max. To date, HighCon is considered a market leader in their industry. According to the client, this is directly due to the celebrity they gained from the show.